This is where we go to get driver's licenses, vehicle licenses, access criminal records and there's an access to the Ada County Jail here, too. 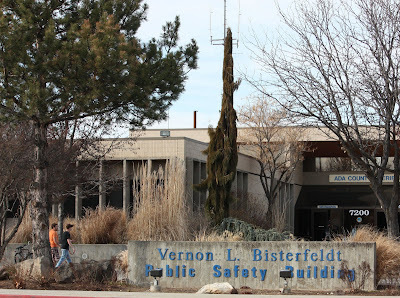 It's officially called the Vernon L. Bisterfeldt Public Safety Building. 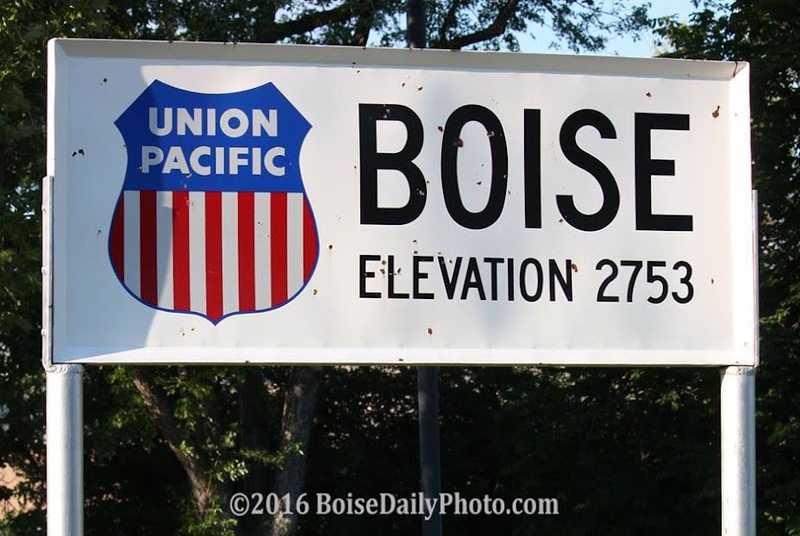 Vern was a long-time police officer, served as an Ada County Commissioner, and is currently a member of the Boise City Council. 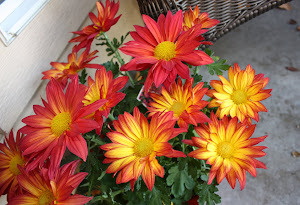 Vern always called me Debbie Cebbie when I used to interact with him as a member of the media, and later as a Western Idaho Fair board member. The only person on the planet to ever call me that :) Happy St. Patrick's Day! My favorite tongue-twister for today is: Irish wristwatch. Go ahead...try to say it. Sounds like a pretty nice guy. We need more like him! Let's see now .... Irish Wristwhaaa.... Hmm... Let's try again. Irish wahhaaawippissh ..... Irish Twistwiimmmmmmaatch..... Arrgghh!!! You are RIGHT! Heh!